4 in. long, 2 ½ in. wide. 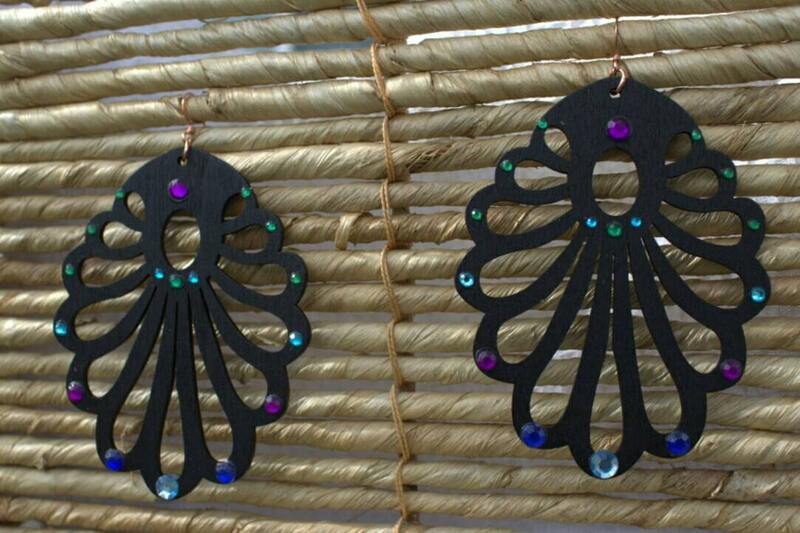 Fish hook style earrings with oval shaped wood cut-outs with crystals attached. Findings are copper, wood is painted black and the crystals are green, blue and purple. The wood is lightweight, making these very comfortable to wear. 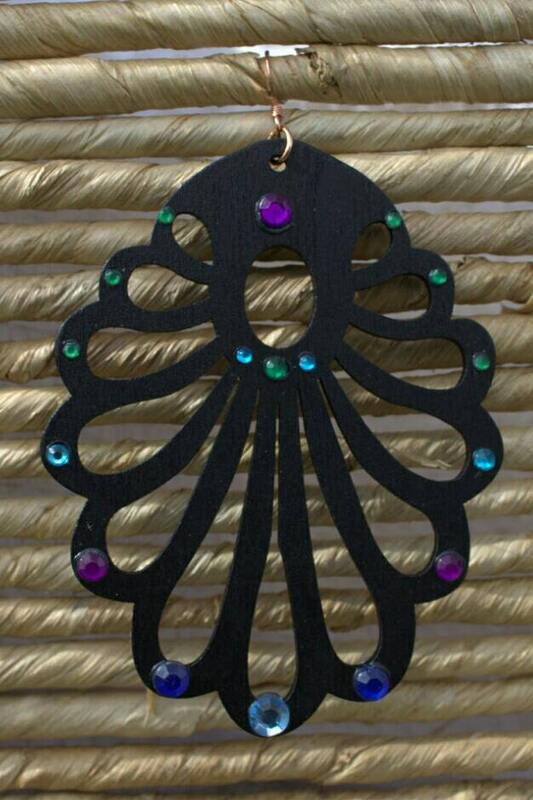 Earrings are double sided, so they'll look great and catch the light from every angle!